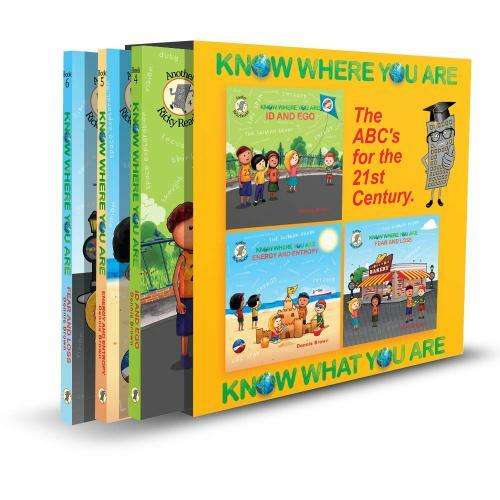 Books 4, 5, and 6 in the Know Where You Are children's book series - "Id & Ego", "Energy & Entropy", and "Fear & Loss", are available as a colorful "gift ready" boxed set in a durable sleeve perfect for collecting and storage. The Know Where You Are Initiative is for "Kids" from age 0 to 110 and beyond. It introduces factual concepts that demonstrate the value and prowess of the Human Brain. It's the ABC's for the 21st century. Dennis Brown is a businessman and entrepreneur with 50 years of international experience in the recycling industry. Through his vast global travels and his innate sense of curiosity, he has studied and concluded that the unique construction of the Human Brain is what makes us a rare and unbelievable species.